You don’t have to scroll back too far through our pages to know that we’re huge Project MC2 fans around here, and have more than a few of the products in our collection. 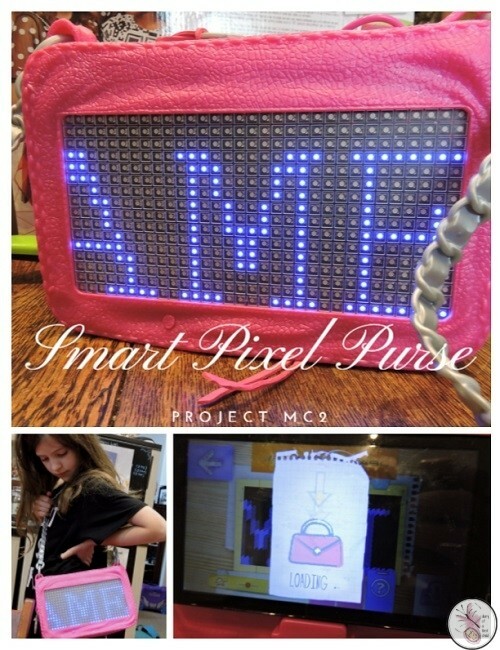 The latest to amuse my girls is the Smart Pixel Purse. If you don’t know what Project MC2 is – it’s a group of highschool girls who are also undercover scientists, spies and otherwise secret agents who use their scientific knowledge and skills to solve crimes and catch the bad guys. 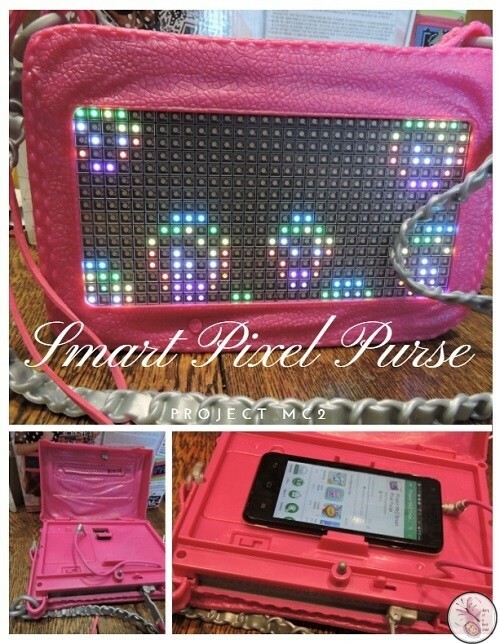 They always have cool gadgets thanks to their inventiveness and ingenuity and the one we’re playing with here is the Pixel Purse, a plastic ‘purse’ with a shoulder strap that opens to fit a mobile phone that you can use to create and send your own graphics to the purse. It does, however, come with 10 pre-installed animations that you can use if you don’t want to go the DIY route. Here are some of the animated designs. 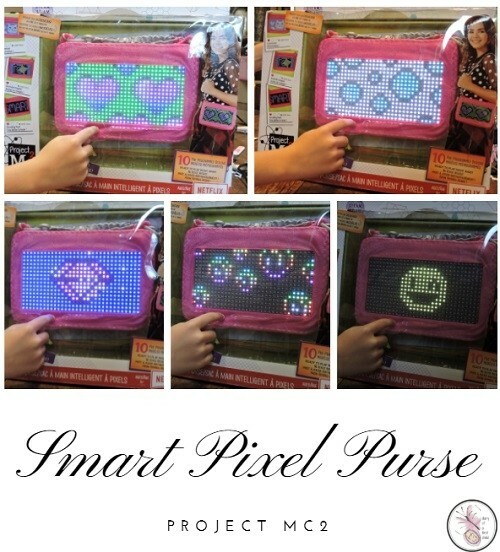 By attaching the purse to a phone and downloading the app, you give your young designer a blank canvas to write messages, or create animations which they can then display on the outside of the purse. The only thing I think could be improved is the ‘purse’ part – there’s no room to put anything other than the phone and maybe a pen or some loose change. I think it would have been a lot cooler as an actual functional purse, but the kids haven’t particularly mentioned that. My girls are very excited by the Pixel Purse, and it’s taken up pride of place next to the Project MC2 Spy Kit that’s still the most prized possession, so that’s a good sign.